Arlene Ruth Litwiller Sutter was born at Normal, Illinois, on June 14, 1933, the daughter of Leonard M. and Ada May (Yordy) Litwiller. She graduated from Hopedale High School in 1951, and worked at Goshen College from 1953 until 1956 while taking classes. She was employed by GTE, and later Verizon, as a data processor in Bloomington, Illinois for 25 years, retiring in 1984. On March 3, 1984, she was united in marriage with Robert Sutter and they lived in the Manson area. Robert preceded her in death on December 12, 2014. 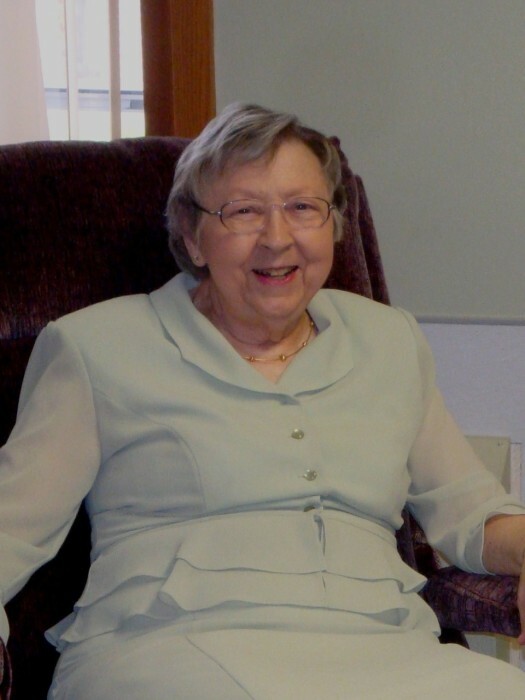 Arlene was an active member of the Manson Mennonite church where she taught Sunday School and Bible School for many years. She was also active with the Mennonite Women of the church, as well as the Manson Garden Club for several years. There's still time to send flowers to the Visitation at the Larson-Weishaar Funeral Home from 5:00 PM to 7:00 PM on April 26, 2019.